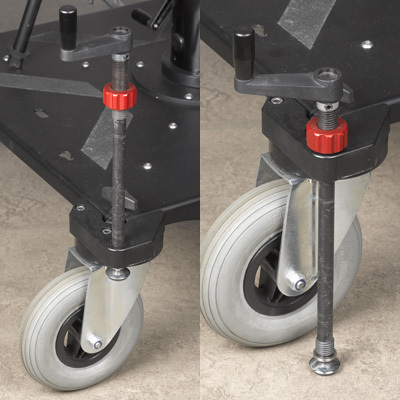 VPD-75 can be mounted to the four corners of the VPD-4 Platform to lock down the dolly on location and level it when using the VPS-4 Heavy Duty Pedestal. The kit consist of 4 mounting brackets with leveling bars and handles. The Kit is mounted with screws to the platform. 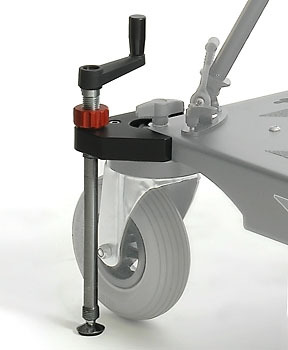 The locking bars can easily be pulled up and secured during movements of the VPD-4 Dolly.